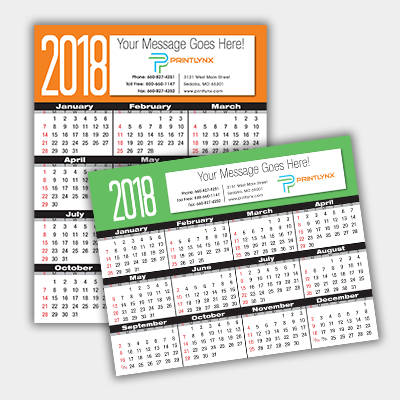 Upload your logo and business contact information to one of our Year-At-A-Glance calendars to hand out to all your customers. You will be able to advertise all year with one product. Available in horizontal or veritical.